LONDON -- UK registrations rose 10.4 percent to 167,911 in April, reflecting a poor performance in the same month last year. Demand in April 2017 dropped 20 percent as a tax rise came into effect. There were also more selling days last month compared with April last year due to the timing of Easter, industry association SMMT said. Demand for diesel cars dropped by 25 percent last month as customers continued to worry about tax rises and looming bans and restrictions in many countries. "Consumers need certainty about future policies towards different fuel types, including diesel, and a compelling package of incentives to deliver long-term confidence in the newest technologies," said SMMT CEO Mike Hawes. Ford was the UK's top-selling brand in April with a 24 sales gain, followed by VW brand, which posted a 47 percent rise, the highest overall gain of any major brand. Third-placed Mercedes-Benz fell 11 percent, but stayed ahead of No. 4 Vauxhall, whose sales grew by 4.4 percent. Registrations at No. 5 BMW fell 20 percent, while flat Audi sales made it a poor month for premium brands. Other winners included Citroen, whose registrations rose 44 percent, Jaguar, which gained 39 percent, Seat with 35 percent growth and Land Rover, whose volume increased 22 percent. Asian automakers had mixed results. Toyota posted a 31 percent jump, followed by Kia with a 9.2 percent rise, but Hyundai sales were flat, rising just 0.4 percent, while Nissan fell 7.3 percent. Among other mass-market brands, Dacia rose 37 percent, Peugeot was up 15 percent, Renault 9.5 percent and Fiat 9.3 percent. 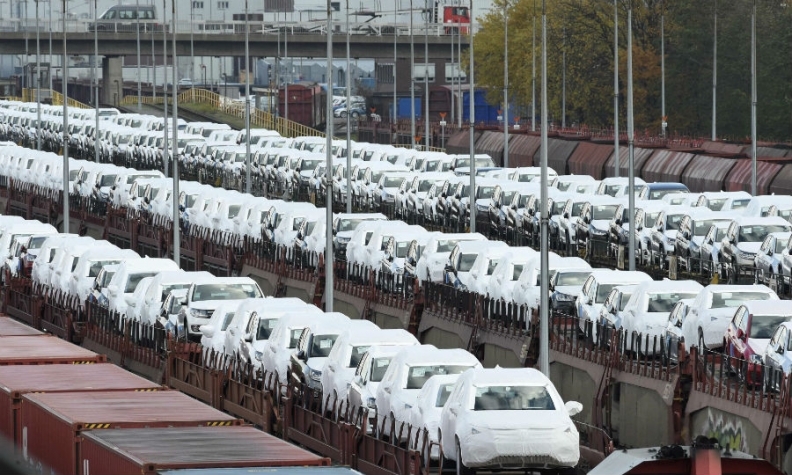 Volume at Skoda rose 3.4 percent. Through April, the overall market fell 8.8 percent to 886,400.